THE UK’s leading independent builders’ merchants will be joined by a legend of world rugby at a landmark sales expo. More than a thousand tradespeople and members of the public are set to descend on The Barn at Eirias Park, Colwyn Bay, for the Huws Gray Giant Trade Event on Wednesday April 17. Marketing manager Dafydd Hughes says the trade show is an opportunity to celebrate their success while giving account holders and visitors a platform to network and reward valued and loyal customers for their support over the years. “This event has been 18 months in the making and is set to be the biggest trade exhibition North Wales has ever seen,” said Dafydd. 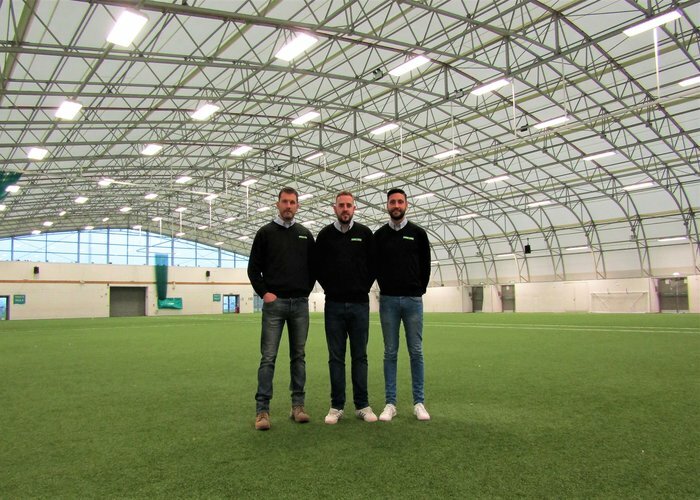 “The company is growing and growing but Huws Gray will always be at the heart of the community,” said marketing officer, Chris Roberts. Colwyn Bay branch manager Tom Evans added: “As well as staff from other bases there will be a team from our store, so there will be a few familiar faces at the event for regular customers. “We are looking forward to what will be a unique opportunity to bring together our customers and supporters from across North Wales, as well as welcoming those who may want to find out more about the work we do and the services and products we provide.